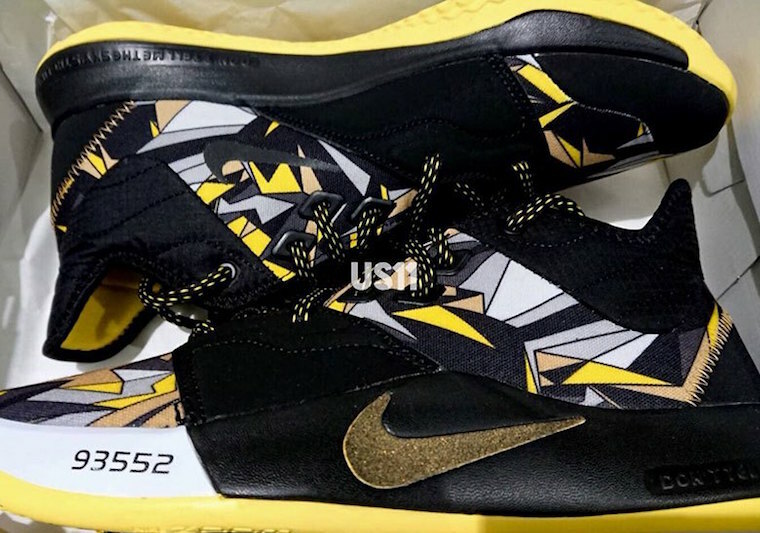 To celebrate “Mamba Day”, Nike will be releasing a PG 3 that is inspired by Kobe Bryant. The shoe features a Black upper, with Opi Yellow accents. A pattern is stretched across the upper, featuring yellow, grey, white, and black colors. A large Gold Swoosh comes across lateral. 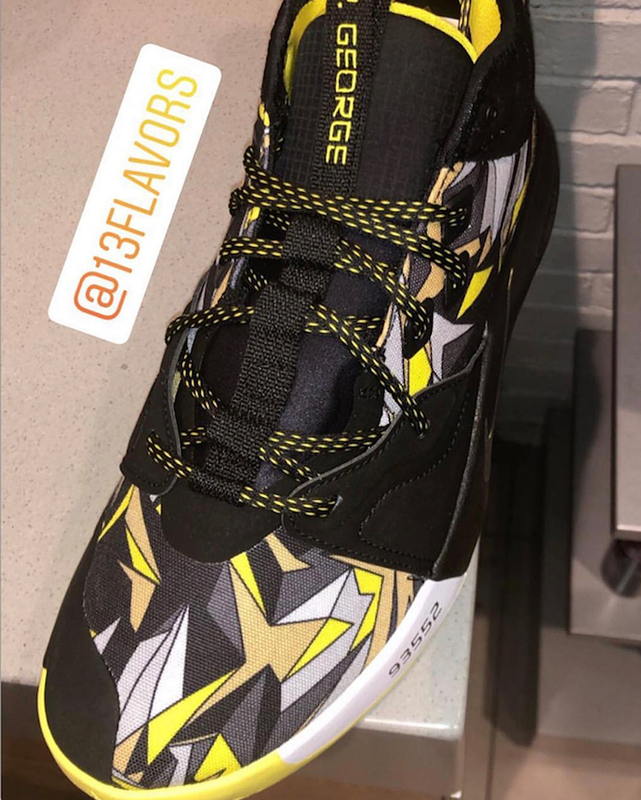 Black and Yellow laces sit atop a black tongue.